The Institute of Chartered Financial Analysts of India (ICFAI) is a not-for-profit Society registered under the Andhra Pradesh (Telangana Area) Public Societies Registration Act, 1350 Fasli (Act I of 1350 F). Established in the year 1984 with an objective of imparting world-class high quality education. ICFAI has around three decades of exemplary track record in the field of higher education. It launched the certification program for Financial Analysts, the CFA Program in 1985 and has been instrumental in developing a new generation of professionals in India. In the year 1995 ICFAI set up the Icfai Business Schools (IBSs) all over India at eight locations to offer high quality employment oriented two years Post Graduate Programs in Management with various specializations. Over the years, IBS Hyderabad is ranked among the top ten B-Schools in India in the independent surveys conducted by various magazines. In keeping with its vision of fostering the growth of high quality higher education and to improve access, promote equity and to encourage excellence ICFAI has sponsored 11 Private Universities in different States leading to Pan-Indian presence of ICFAI Universities. 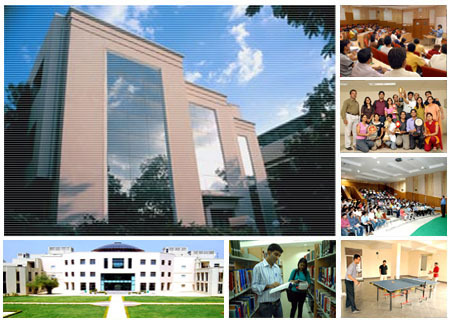 ICFAI Group is one of the largest Private Universities Group in India. ICFAI University publish over 300 case studies every year; professional quarterly research journals in various fields of management, finance, science & technology, law, economics and liberal arts. To establish a Pan-Indian network of Research and Teaching Universities in different states to ensure high quality academic delivery and to promote a strong research culture among the faculty members. To deliver career-oriented educational programs of quality and develop an expanding pool of faculty members through rigorous Ph.D Program. To collaborate with leading Universities/Institutions for student-exchange and faculty-exchange programs. To become a socially-responsible University network to improve access, to promote equity and to encourage excellence. The primary mission of ICFAI is to create a cadre of professional men and women who have been imparted specialized skills, who have learnt to consider problems from a broad perspective and who have acquired a heightened sense of moral and social responsibility that their future positions of leadership demand of them. In short the Mission is: “Learning for Leadership”. ICFAI has already established the ICFAI Universities in the following States under respective State legislations. Uttarakhand, Tripura, Sikkim, Mizoram, Meghalaya, Jharkhand, Nagaland, Rajasthan, Chhattisgarh, Himachal Pradesh and a deemed university at Hyderabad. •	Significant investments in campus development (without seeking any external assistance from State Government/Central Government/North East Council). •	Bringing quality higher education to the door-step of students in different States in terms of curriculum, pedagogy, courseware and evaluation processes developed over 25 years. •	The ICFAI University is present in 5 (Tripura, Sikkim, Mizoram, Meghalaya, Nagaland) out of 8 land locked North East States. •	ICFAI Universities are set-up in other educationally under-developed States also; Dehradun (Uttarakhand), Ranchi (Jharkhand), Raipur (Chattisgarh). •	Preference to local students and teachers. •	Merit-based admissions, no management quota, no capitation fee/donation. •	Placement opportunities throughout India through balanced development of right knowledge, soft skills and positive attitudes. •	Creating employment for teaching and non-teaching staff.